One of the most impressive bodybuilders I ever saw in person was Sergio Oliva, winner of the Mr. Olympia contest 3 times from 1967-1969. He defeated Arnold Schwarzenegger in his last Mr. Olympia victory, and many fans felt he should have beaten Arnold on several other occasions. Sergio was impressive because of his outstanding proportions. He was so big, he almost looked like a cartoon character. Arms measuring 21 inches were accompanied by a massive chest, an expansive back, huge shoulders and thick traps. This incredible mass was topped off by a tiny 28 inch waist. The first time I saw Sergio in person, I was blown away by his gigantic forearms. Although Sergio did not have big wrists, the thick muscles on his forearm looked like they were literally hanging off his arm. It made an immediate impression on me how important the forearm muscles are for creating a powerful looking physique. 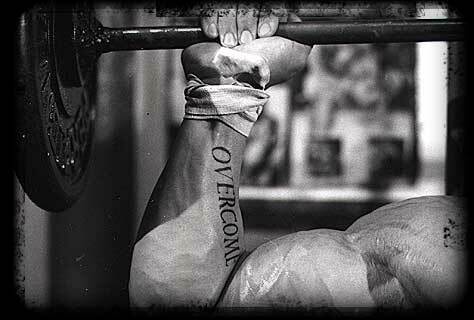 Reverse Preacher Curls – Preacher Curls are performed on an angled bench and are great for building up the lower area of your biceps. However, taking a reverse grip on the bar will put the focus on the extensor muscles (located on the top of your forearms). Use a moderate weight and an overhand grip on the barbell. Extend your arms all the way down before slowly curling the bar back to the top position. Three sets of 10-12 reps should work well toward your goals. Dumbbell Wrist Curls – Doing wrist curls one arm at a time with a dumbbell really lets you focus on forearm muscles. You can support your arm on a bench or on your thigh while seated. Hold the working arm steady with your free arm and slowly curl the wrist up, flexing the flexor muscles (the muscles on the bottom of the forearm) at the top of the movement. As you return to the starting position, let the dumbbell roll down to the end of the fingers before slowly curling the weight back up. Do 3 sets of 12-15 reps to fully develop those forearms.